For the first time ever we have a draw between Norwegian Joy and MSC Seaside for “Best New Cruise Ship” in this year’s Cruise Ship Awards. We really didn’t expect this but two cruise ships have received the same amount of votes in this year’s Cruise Ship Awards. 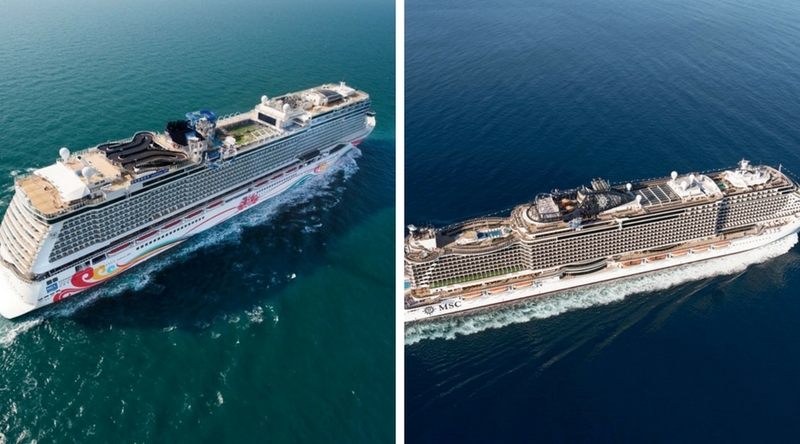 Norwegian Joy and MSC Seaside can both take home the crown for “Best New Cruise Ship” of 2017. Norwegian Joy is the second Breakaway-Plus class vessel from Norwegian Cruise Line and has been purpose-built for the Chinese market. The ship which is now based out of China was delivered by the Meyer Werft shipyard in Papenburg, Germany in April 2017. The NCL ship is 167,400 gross tons and can carry over 4,200 passengers at double occupancy. Norwegian Joy has also won “Best Cruise Ship Hull Artwork” for 2017, read all about it here. MSC Seaside is not long been in service and was just recently christened in PortMiami. This is the first ship in its class and built by Fincantieri in Italy. The ship is part of the cruise lines expansion plans in North America and is offering Caribbean cruises year-round from Miami, Florida. MSC Seaside is 153,500 gross tons and can carry over 4,100 guests at double occupancy. With the draw of Norwegian Joy and MSC Seaside for “Best New Cruise Ship” of the year, it leaves just four other news cruise ships within the category. In 2nd place came Majestic Princess which is another vessel purpose-built for the Chinese market. The Princess cruise ship is 143,700 gross tons and began cruises in Spring 2017. 3rd place went to MSC Meraviglia, the biggest news cruise ship to arrive in 2017 and the largest so far for the cruise line. MSC Meraviglia is the first in its class and built by STX France. The new ship started sailing in Spring and is 167,600 gross tons carrying 4,500 guests. 4th place in the awards went to Viking Sky, a smaller vessel than the others and luxury at its very best. Viking Sky is the third Ocean cruise ship for Viking Cruises and is 47,800 gross tons and entered service in the Summer. In the final position with the lowest amount of votes from Cruise Hive readers is World Dream, a new cruise ship which arrived for Dream Cruises Asia. The ship was built by Meyer Werft in Germany and is 151,100 gross tons and arrived in the fall. 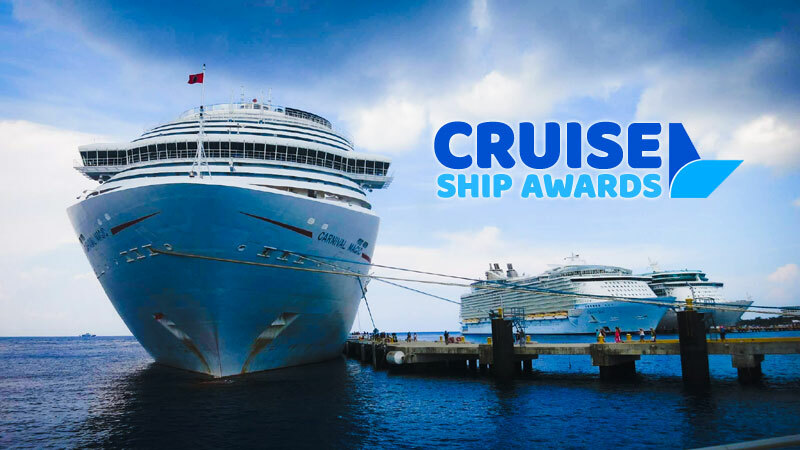 This year’s Cruise Ship Awards received thousands of votes and more than previous years in the annual awards which Cruise hive readers can vote in. We had really double check this category due to the draw and we made sure there were no double votes from the same IP. We must congratulate Norwegian joy and MSC Seaside for “Best New Cruise Ship” of 2017 where for the first time ever on Cruise Hive it was a draw!